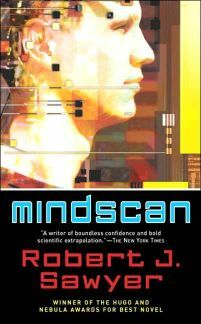 Covers of the American editions of Mindscan, published by Tor Books. On the left is the hardcover, published in April 2005 (ISBN 0-765-31107-0). 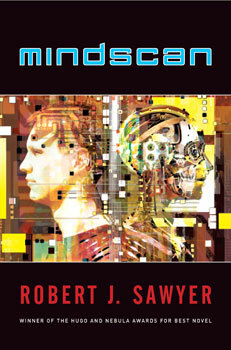 On the right is the paperback, published in January 2006 (ISBN 0-765-34975-2). Jacket design by Jamie Stafford-Hill.